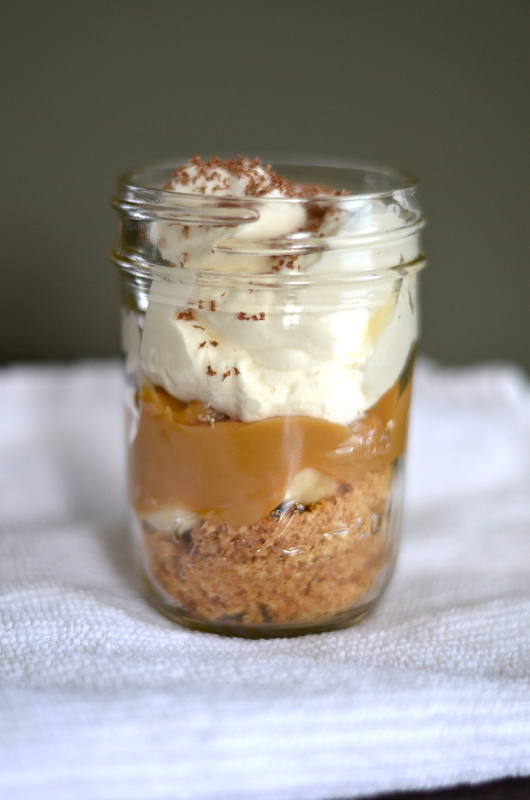 Have you ever heard of a Banoffee Pie? It turns out a ton of people have not. I made these the other day and I had to explain what they were to everyone. All you need to know is that they are delicious…(and simple to make!). When Mikey and I were engaged and then first married we lived in Madison, WI and both worked in restaurants. Mikey was the manager at an Irish Pub and therefore I spent almost all my time there when I wasn’t working. We both gained about 20 pounds our first year of marriage. Between the chocolate fondue (I worked at the Melting Pot. Cheese and chocolate for days) and the pub fries and beer at the pub…we put on a few lbs. One of my favorite things to get at the pub was their Banoffee Pie. It is an English dessert that includes bananas, whipped cream, graham crust and Dulce de Leche…Here is the history behind it if you’re interested. I absolutely love the combination of everything together. The salty crust, with the sweet Dulce de Leche and the combo of the banana with the fluffy whipped cream…heaven. I could eat this for breakfast, lunch and dinner. Since it has bananas it counts as a healthy breakfast, right!? 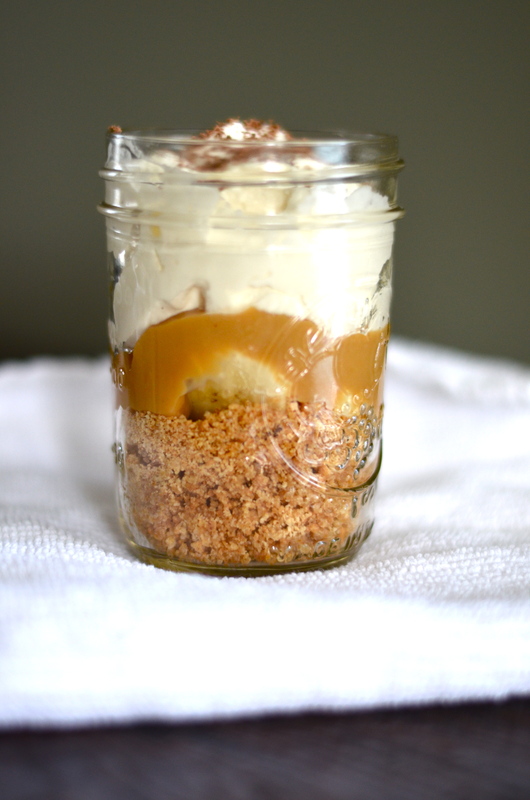 I also love serving dessert in a jar. No matter what is in it, I swear it will taste better if served in a mason jar! Trust me when I say this pie is amazing. 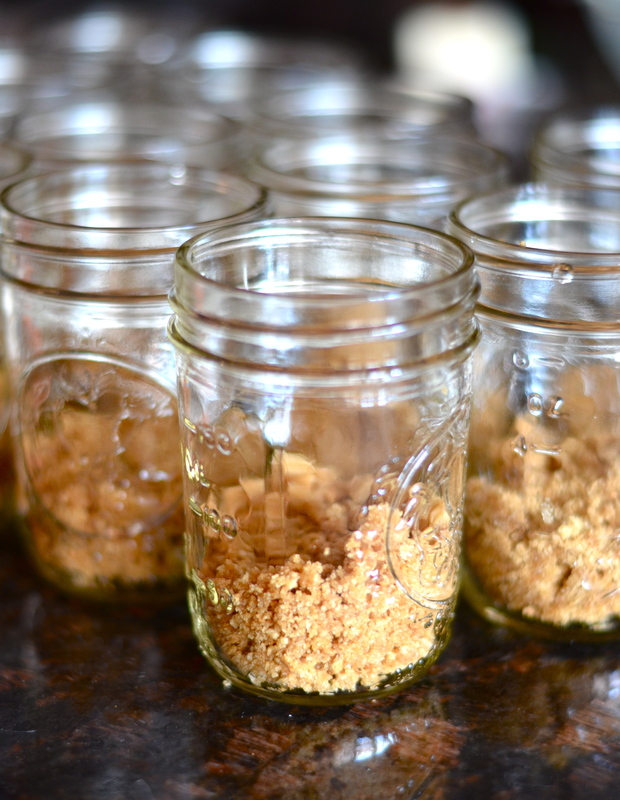 You don’t have to make them in individual jars if you don’t want to. You can always just make one giant pie. Layer the crust, bake for about 10 minutes at 350, add the Dulce de Leche, followed by the bananas, whipped cream and a sprinkle of chocolate! 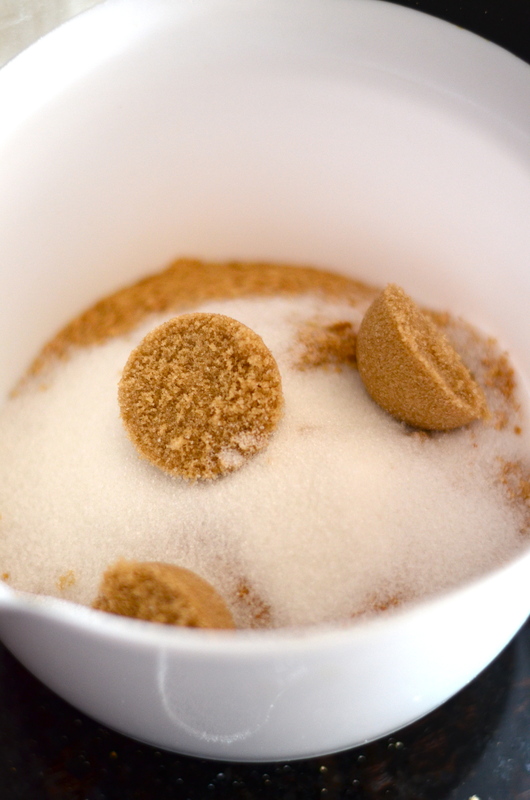 Combine the graham cracker crumbs, melted butter, sugar and salt in a small bowl and mix until combined. 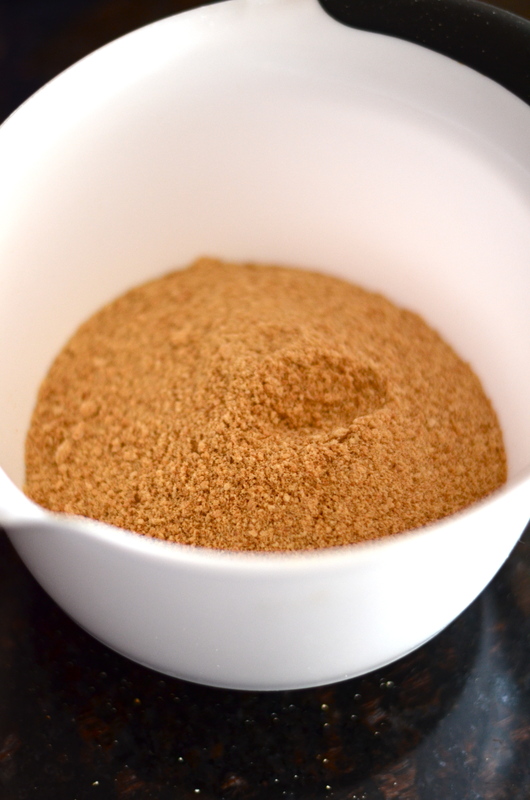 Sprinkle about 2-3 tablespoons into jars. (I kept filling them until the graham crust was gone but I recommend you save about half the graham and layer it like a trifle. That way you’ll get more graham in every bite). Set aside. 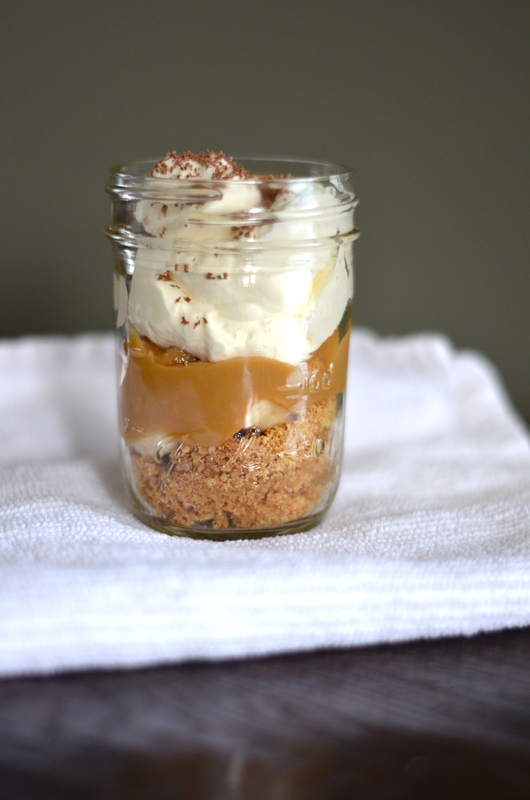 You can skip making the Dulce de Leche on your own and just buy a jar at the store. 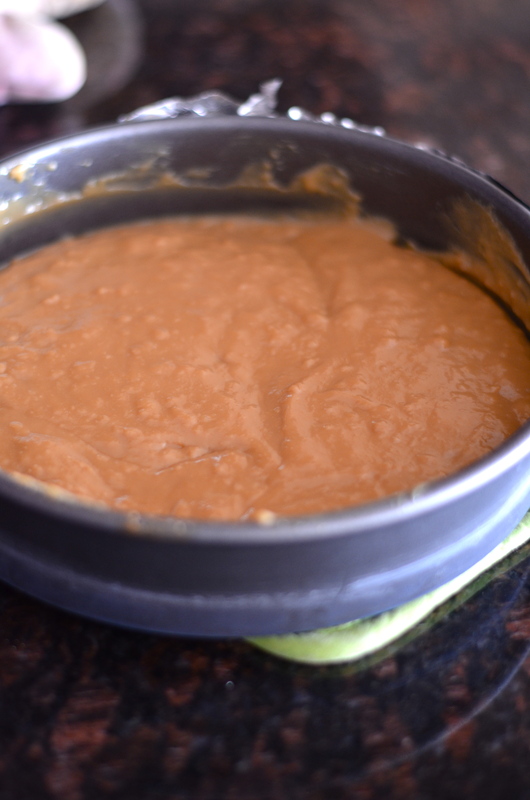 For the Dulce de Leche, pour two cans of sweetened condensed milk into a deep cake pan. 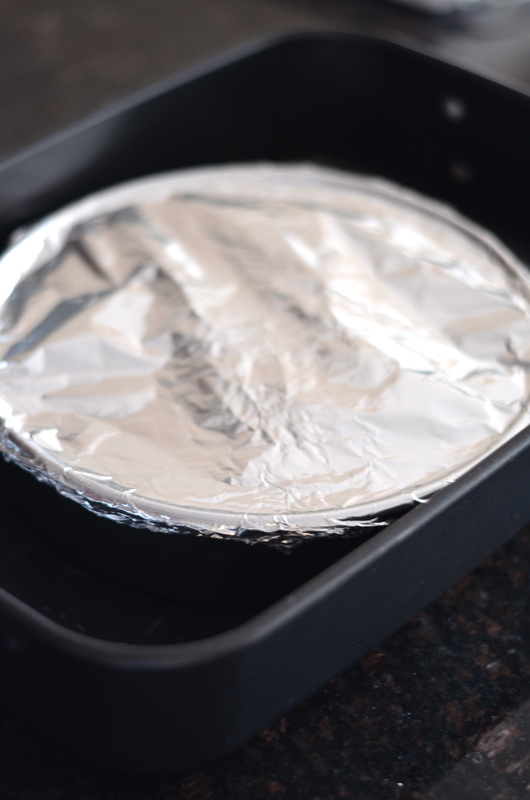 Cover very tightly with aluminum foil and place into a roasting pan. 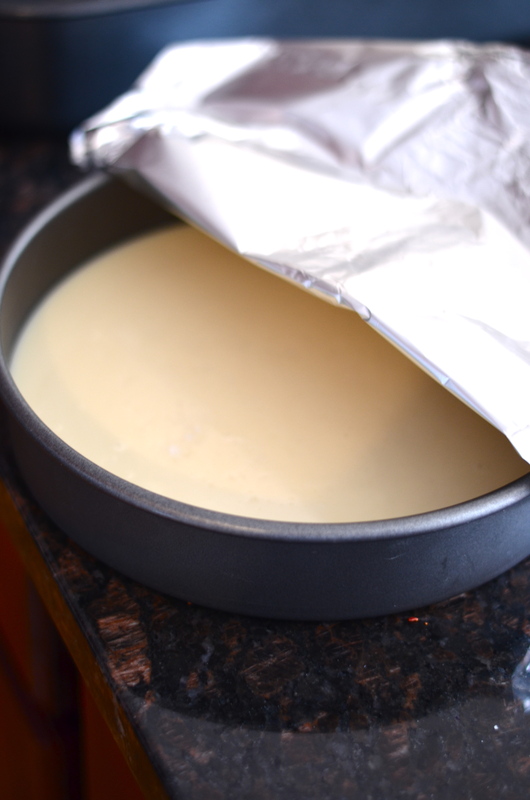 Pour boiling water into the roasting pan, making sure the water reaches half way up the sides of the cake pan. Place into oven on the center rack and bake for 1 hour. 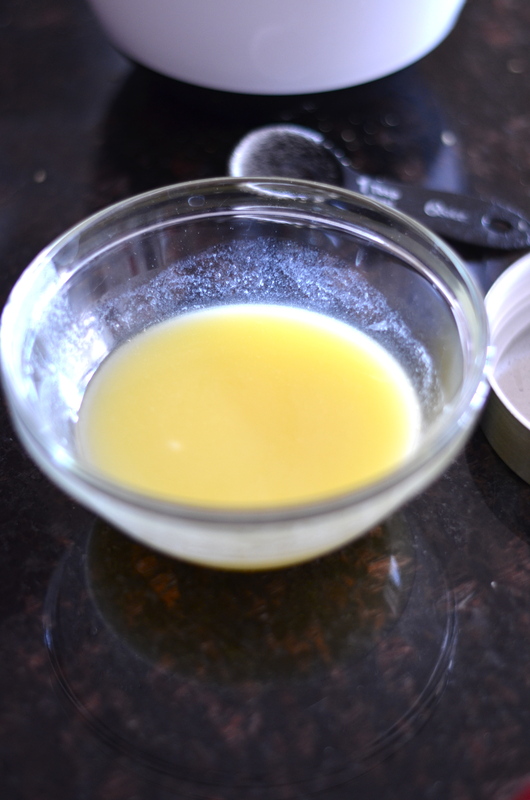 After an hour, remove from oven and gently whisk the condensed milk. Cover tightly and pour more water into dish, again making sure it reaches up sides of the pan. Continue this process until the sweetened condensed milk is cooked and resembles a dark caramel color, at least another hour perhaps more. Once finished cooking let cool completely. This step can be done a couple days in advance and kept in a sealed container. 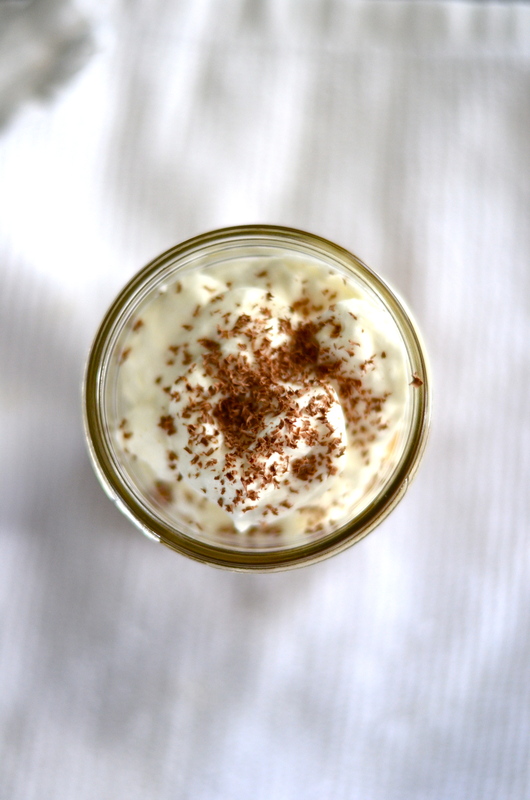 While the Dulce de Leche cools, make the whipped cream. 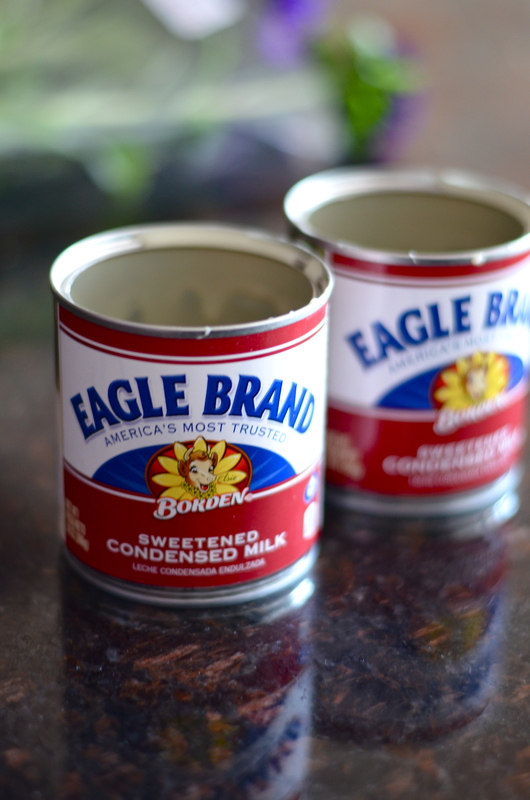 In a metal bowl, combine sugar and whipping cream. Beat until heavy peaks form. 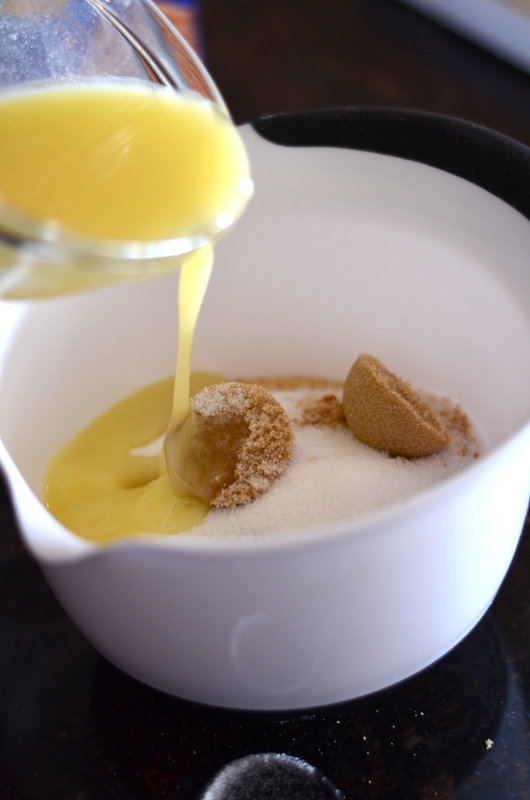 Once the Dulce de Leche has cooled, spoon about 2-3 tablespoons over the crust. Then, take bananas and slice into 1 inch pieces. 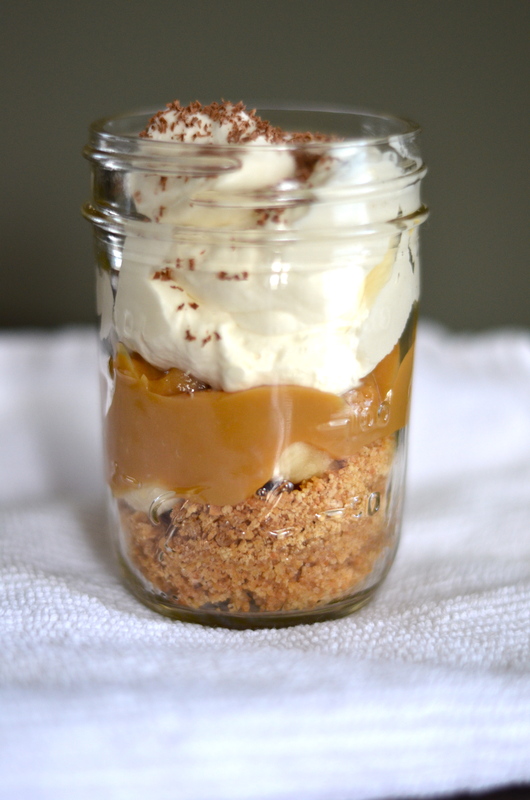 Sprinkle banana over Dulce de Leche and add a small layer of whipped cream (you can stop here or you can do another layer. I recommend doing 2 layers of everything instead of the way I did it. That way you ensure a bit of everything in each bite). 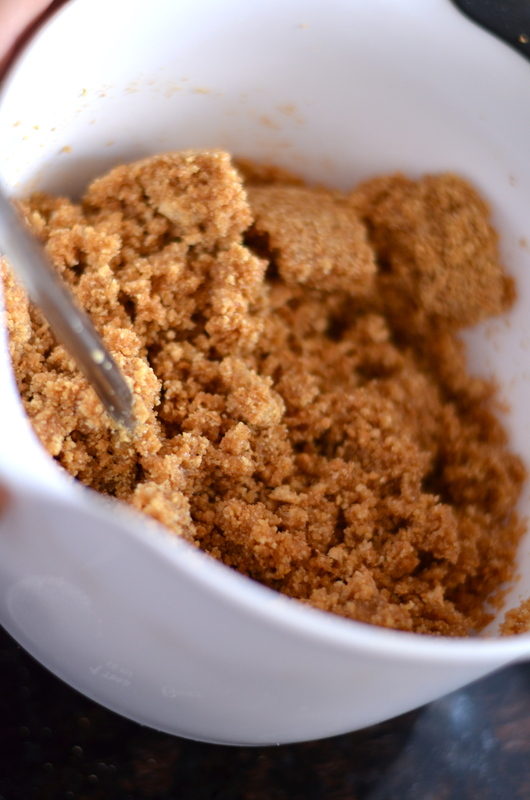 Sprinkle with graham crumbs, add a layer of banana or Dulce and finish off with whipped cream. I used a dark chocolate bar and a micro-plane to top pies off with a dusting of chocolate. Serve with a spoon and enjoy! 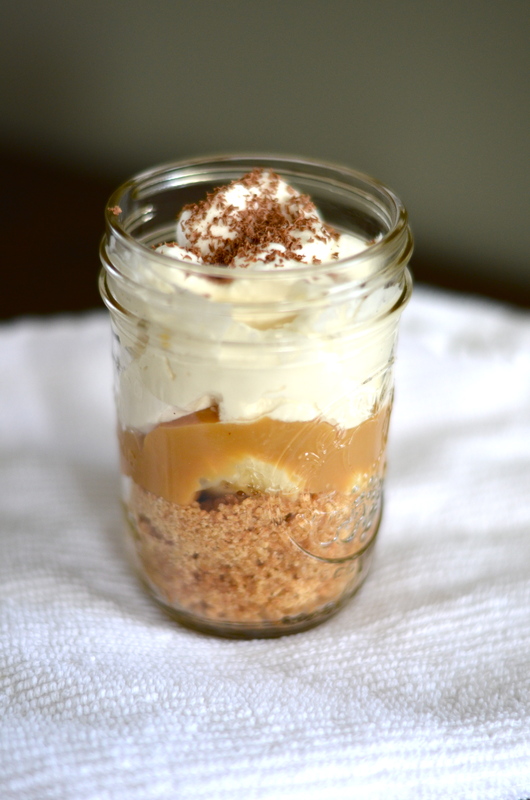 I have never heard of a Banoffee Pie but these sound great! I may have to try them or some variation – cookie bars? This look superb. Looking forward to trying it for a dinner party I have coming up, pretty sure it will be a crowd pleaser! I hope they turn out well, keep me posted! I’m definitely feeling inspired 🙂 Thanks!